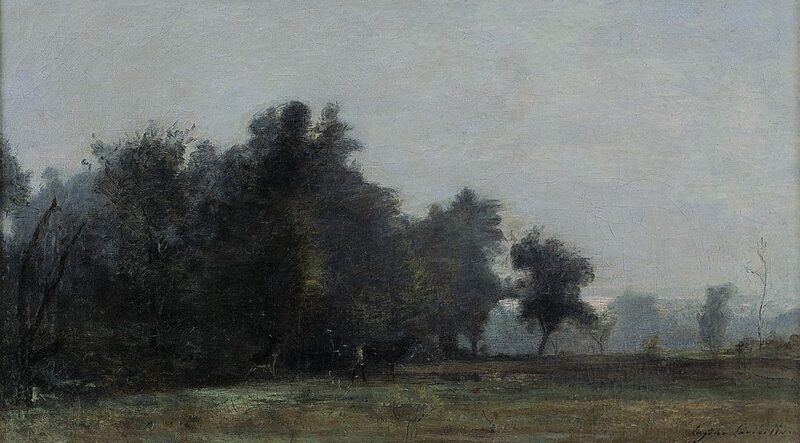 Eugène Lavieille is an important figure of the Barbizon School who, along with Chintreuil, is one of the best landscape painters ever trained by Corot. As an apprentice he studied drawing with Lequin, and in 1841 he became a student of Corot himself, exhibiting for the first time three years later at the Paris Salon. His phenomenal success allowed him to devote himself fully to developing his unique style. Lavielle subsequently became a pivotal figure in the Barbizon School, creating an array of important canvases with his characteristic fluid touch, masterly treatment of tones, and calm, nostalgic atmosphere. His work was well received by the art world, and was awarded medals at the Paris Salons of 1849, 1864, and 1870.